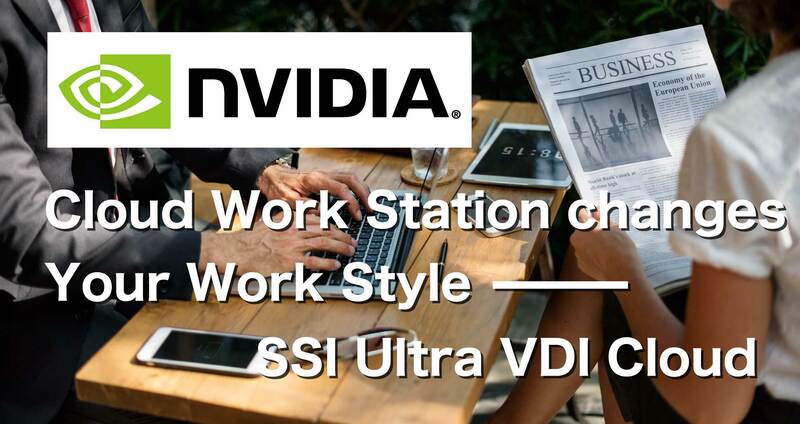 SSI Ultra VDI Cloud is a CLOUD solution for BIM that proposes a new work style. We will create a cloud environment dedicated to customers and use it remotely by accessing the BIM workstation on the cloud. Since you can remotely connect using the PC you have now, you do not need to purchase a new PC. Solving the physical work station installation location, waste heat, noise problems as well.The environment where you can work anywhere will also expand new possibilities, such as the introduction of remote work. In addition, since it can be integrated management, the burden on the IT administrator can be reduced. Since SSI Ultra VDI Cloud and UC for BIMcloud are located in the same data center of SSI Lab, high-speed data communication is possible.The cloud rendering service “Arch-LOG” is also a service via the Internet, but because it provides services at the same data center as SSI Lab, it can be used in low latency environment. Compared with purchasing hardware, the cloud has the merit of being able to build an environment tailored to the scale. · Cost can be settled as service fee.